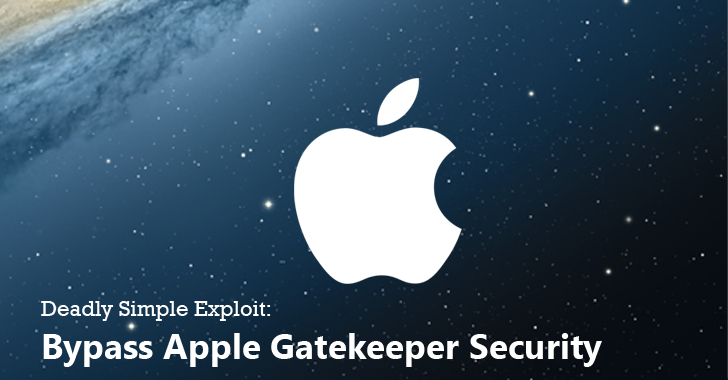 Introduced in July of 2012, Gatekeeper is Apple's anti-malware feature designed to keep untrusted and malicious applications from wreaking havoc on Macs. However, Wardle has found a quick and simple way to trick Gatekeeper into letting malicious apps through on Mac OS X machines, even if the protection is set to open apps downloaded only from the Mac App Store. However, what Gatekeeper fails to do is – checking whether the app already trusted by OS X runs or loads other files from the same folder. The proof-of-concept exploit developed by Wardle does exactly the same. Again Gatekeeper will check the first installer app, and won't warn users of the malicious plugins. Wardle's exploit works on OS X Yosemite, and all versions, including El Capitan, the upcoming release. Wardle said that he tested his exploit on the most recent beta version of El Capitan – released recently to developers – and he was still able to bypass Gatekeeper. The researcher privately alerted Apple of the Gatekeeper vulnerability more than 60 days ago, and the company is working on a patch that will be delivered to users as soon as possible. "If I can find it, you have to assume groups of hackers or more sophisticated nation states have found similar weaknesses," Wardle told Ars. "I am sure there are other Apple-signed apps out there" that can also be abused to bypass Gatekeeper." Wardle will present his findings on Thursday at the Virus Bulletin Conference in Prague, Czech Republic.